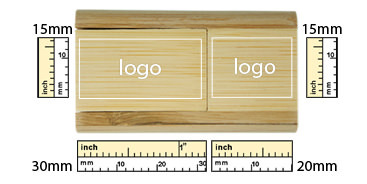 Show the world that you care with the Bamboo Flip, a personalized USB drive with no minimum order requirement. 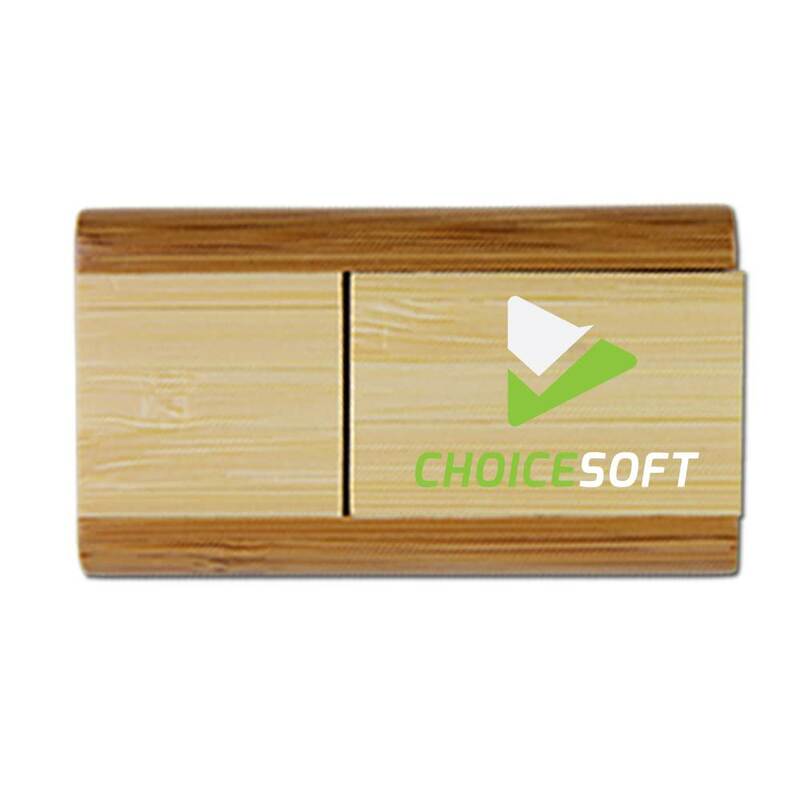 This eco-friendly drive features a renewable bamboo body that is easy on the eyes while offering excellent storage capacity options up to 64GB at 2.0 USB speeds. 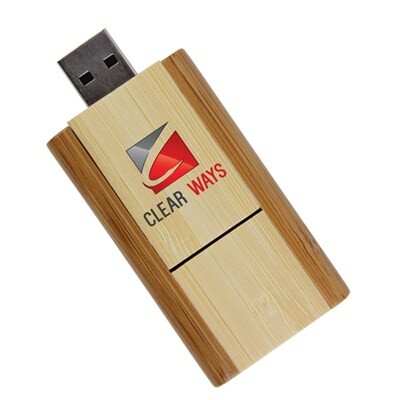 A matching swivel cap protects the connector while also providing additional print space. 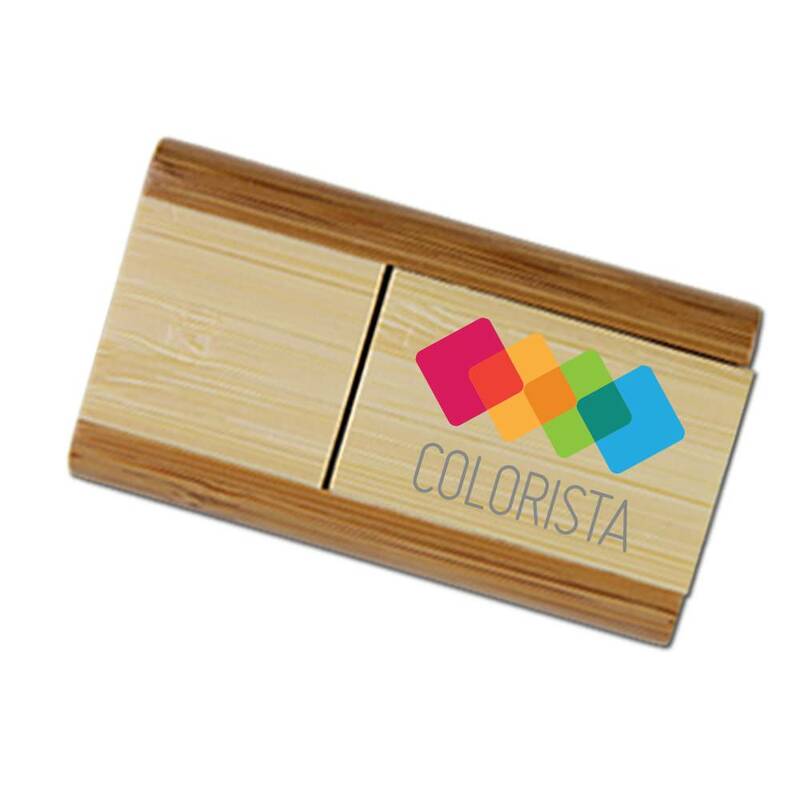 Laser engrave monograms, graphics, or logos easily on this trendy drive. This drive’s aesthetics suits a wide number of environments and applications, plus you can order as many or as few as you need!